Bishnois are strong lovers of wild animals. It is because of their protection that in Bishnoi dominated areas, deer and antelope(such as blue bulls,blackbucks,chinkaras and chowsinghas) are seen grazing peacefully in their fields. The origins of the Chipko movement can be traced back to the Bishnois. On a Tuesday (The 10th day of the month of Bhadrapad according to the Indian lunar Calendar) in 1730 A.D., Amrita Devi, a Bishnoi woman was at her home with her three daughters (Asu, Ratni and Bhagu bai) when she came to know that a number of people had descended on their otherwise sleepy village of Khejarli. The name Khejarli was derived from "Khejri", since these trees were found in abundance in the village.The people were a party of men sent by Maharaja Abhay Singh, the ruler of the kingdom of Jodhpur in the Marwar region, who wanted to fell green Khejri trees to burn lime for the construction of the Maharaja's new palace. Since there was a lot of greenery in the Bishnoi villages even in the middle of the Thar Desert, the king ordered his men to get the wood by cutting the Khejri trees. Saying these words, she offered her head. The axes, which were brought to cut the trees, severed her head. The three young girls Asu, Ratni and Bhagu were not daunted, and offered their heads too. The news spread like wildfire. The Bishnois of Khejrali gathered and sent summons to their counterparts in eighty-three Bishnoi villages in the vicinity to come and decide on the next course of action. Since the supreme sacrifice by Amrita Devi and her daughters had not satisfied the royal party, and the felling of green trees was continued, it was decided that for every green tree to be cut One Bishnoi, volunteer would sacrifice his/ her life. In the beginning, old people voluntarily started holding the trees to be cut in an embrace as in the 20th Century Chipko Movement. Despite many valiant old persons, giving away their lives, the Hakim (the royal party's leader) , Girdhar Das Bhandari, taunted the Bishnois that they were offering unwanted old persons. Soon, young men, women (including recently married ones) and children were sacrificing themselves in a similar manner. There was intense pandemonium. The tree-felling party was badly shakhen. They left for Jodhpur with their mission unfulfilled and told the Maharaja about what had happened. Soon as he learnt about it, he ordered the felling of trees to be stopped. By that time, three hundred and sixty three (363) Bishnois, young and old, men and women, married and unmarried, rich and poor, had already become martyrs. All cutting of green trees and hunting of animals within the revenue boundaries of Bishnoi villages was strictly prohibited. It was also ordered, that if by mistake any individual violated this order, he would be prosecuted by the state and a severe penalty imposed. Even members of the ruling family, would not shoot animals in or near Bishnoi villages. Bishnois are known to be very violent and aggressive in protecting trees and wildlife. It is said that if you are a hunter, then the worst thing that could happen to you is to be caught hunting by a Bishnoi. Unlike most Hindu communities, Bishnois bury their dead instead of cremating them. This is because of the strict prohibition on the felling of trees, the wood of which is required for cremation. In October, 1996, Nihal Chand Bishnoi sacrificed his life for protecting wild animals. A film, Willing to Sacrifice, based on his story won the award for the Best Environment Film at the 5th International Festival of Films, TV and Video Programmes held at Bratislava, Slovakia. 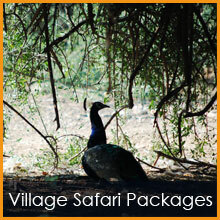 © 2012 Bishnoi Village Safari. All rights reserved.